The stigma of HIV-infection may profoundly affect the lives of persons living with HIV/AIDS (PLHA). However few studies have examined the association of HIV stigma with multiple components of HIV treatment and care. To estimate the association between HIV stigma and: self-reported access to care, regular source of HIV care, and antiretroviral therapy adherence; and to test whether mental health mediates these associations. 202 PLHA living in Los Angeles County in 2007. Participants completed an anonymous survey, assessing internalized HIV stigma (28-items, alpha = 0.93), self-reported access to medical care (six items, alpha = 0.75), regular source of HIV care, and antiretroviral therapy (ART) adherence. One-third of participants reported high levels of stigma; 77% reported poor access to care; 42.5% reported suboptimal ART adherence; and 10.5% reported no regular source of HIV care. In unadjusted analysis, those reporting a high level of stigma were more likely to report poor access to care (OR = 4.97, 95% CI 2.54–9.72), regular source of HIV care (OR = 2.48, 95% CI 1.00–6.19), and ART adherence (OR = 2.45, 95% CI 1.23–4.91). In adjusted analyses, stigma was significantly associated with poor access to care (OR = 4.42, 95% CI 1.88–10.37), but not regular source of HIV care or ART adherence. Mental health mediated the relationship between stigma and ART adherence, but not poor access to care or regular source of HIV care. The association of stigma with self-reported access to care and adherence suggests that efforts to improve these components of HIV care will require a better understanding of the possible effects of stigma and it′s mediators. Advances in HIV treatment over the past decade have transformed HIV-infection from a fatal diagnosis into a manageable chronic illness.1,2 Despite these dramatic advances, the social aspect of the illness–including the stigma of HIV–continues to threaten the emotional, mental, and physical well-being of persons living with HIV/AIDS (PLHA). We collected data from a diverse convenience sample of 202 HIV-positive adults in Los Angeles County in 2007. Participants were recruited from five community organizations providing outreach and social services to PLHA, as well as two HIV clinical care sites. By recruiting at community organizations and clinical sites, we were able to include both individuals who readily access the health system and those who may not. Eligible participants were 18 years of age or older, HIV-positive, able to answer questions in English, and capable of providing informed consent. We recruited participants through research assistants stationed at the sites and organization staff also referred interested participants. Eligible participants were invited to complete a 154-item anonymous self-administered questionnaire, with a Flesh-Kincaid reading level of Grade 6.4 (Microsoft Word 2000, Redmond, WA). Participants were paid a $20 honorarium. Informed consent was obtained for all participants, and the UCLA IRB approved the study. We measured internalized HIV stigma with a 28-item scale developed from previously published work by the authors.12,23 Scale scores ranged from 0–100, with higher scores indicative of greater stigma. Internal reliability consistency for the overall measure was 0.93. Mean scores for the stigma subscales were computed, and the overall scale score was calculated as an average of the subscale scores. Because the distribution of stigma scores associated with the outcomes was not linear and suggested a threshold effect, we created a dichotomous variable of high internalized stigma for this analysis, such that participants who on average responded some of the time, most of the time, or all of the time (mean scale score of 50 or greater) were characterized as having high stigma. Mental health composite scores (MCS) were derived from the Medical Outcomes Study Short Form (SF-12), and scores were linearly transformed to T scores (mean = 50, SD = 10; higher scores representing better health).28,29 The MCS scale ranged from 1 – 100 and was divided into 10–point increments (i.e. 1 – 10, 11 – 20, etc.) for this analysis. Other independent variables in the analysis included predisposing factors: age, gender, race/ethnicity, education, primary language, relationship status, sexual orientation, history of intravenous drug use (IDU); enabling factors: income, health insurance; and clinical need characteristics: years since HIV diagnosis, CD4 cell count, currently on ART. We first examined the distributions of all independent and dependent variables. We then examined the bivariate associations between the predisposing factor of high internalized stigma and the health behavior outcomes. We constructed three separate multiple logistic regression models to estimate the adjusted association between each outcome variable and high internalized stigma, controlling for predisposing, enabling, and clinical need characteristics. As a secondary goal of the study, we examined whether mental health mediated the relationship between stigma and each outcome.30 Specifically, first we examined the association between stigma and MCS. Next, we examined the association between MCS and each of the three outcome variables in separate models. If these first two associations are significant, then the possibility of a mediation relationship is heightened. According to standard criteria for assessing mediation, next we examined the association between stigma and the outcomes. In the final step, we examined the extent to which the association between stigma and the outcomes was attenuated by adding MCS to the model. We conducted these mediation analyses in bivariate models, followed by multivariate models. We used multiple imputation by chained equations (MICE) with five replications to impute missing values for two variables: history of IDU (11 observations missing), and CD4 cell count (38 observations missing). Li-Raghunathan-Rubin estimates were used for calculating standard errors.31 All analyses were conducted using STATA 10.0 (Stata Corp, College Station, TX). Two hundred and two participants completed the survey, and refusal rates ranged from 10% to 30% by site. Participant characteristics are presented in Table 1. Fifty percent of the sample was female, and the mean age was 43 years. Fifty-six percent were African American, 28% were White, and 10% were Latino/a. The mean MCS score was 40.1 in the sample, with a standard deviation of 11.2. Mean scores for each stigma item, subscales, and the overall stigma scale are presented in Table 2. The mean score on the overall stigma scale of 41 reflects that on average participants endorsed items describing experiences or perceptions of stigma slightly less frequently than “some of the time”(mean score of 50). Seventy-seven percent of participants reported poor access to care on one or more of the items (Table 3). Approximately 10% reported having no regular source of HIV care. Of the 142 participants currently taking ART, 42.5% reported suboptimal adherence. Do you currently have a regular place to go for your HIV medical care? How often during the past week were you able to take your antiretroviral medications exactly as your doctor or nurse told you to? In bivariate analyses, participants experiencing high internalized stigma more frequently reported poor access to care, no regular source of HIV care, and suboptimal ART adherence (Table 4). Respondents diagnosed with HIV in the past five years had significantly increased odds of reporting high levels of stigma compared with those diagnosed more than five years ago (OR = 2.49; 95% CI = 1.25, 4.98). MCS was significantly related to high levels of stigma (OR = 12.95, 95% CI = 6.14, 37.10), as well as poor self-reported access, no regular source of HIV care, and suboptimal ART adherence (Table 4). Internalized stigma was not associated with any of the other independent variables. In multivariable analysis, internalized stigma was strongly associated with poor access to care (OR = 4.42; 95% CI = 1.88, 10.37) but not the other two outcomes (Table 5). Poor access to care was also significantly associated with younger age (OR = 5.43; 95% CI = 1.52, 19.43), a history of IDU (OR = 3.19; 95% CI = 1.24, 8.20), and income below FPL (OR = 2.50; 95% CI = 1.10, 5.68). Having no regular source of HIV care was significantly associated with younger age (OR =7.39; 95% CI = 1.26, 43.42). Finally, increased odds of suboptimal ART adherence were found among respondents with lower MCS (OR = 1.50; 95% CI = 1.01, 2.25) and those who identified as heterosexual (OR = 2.92; 95% CI = 1.07, 7.98). All four stigma subscales were significantly associated with poor self-reported access to care. None of the subscales were significantly associated with regular source of care (latter data not shown). To examine mental health as a potential mediator of the relationship between stigma and our outcomes of interest, we tested the mediation model as presented in Fig. 1. As described earlier, stigma was significantly associated with MCS, as well as with the outcomes of self-reported access to care and suboptimal ART adherence. MCS was also significantly associated with these two outcomes, controlling for the covariates. Therefore, the conditions for the mediation hypothesis were met. When the MCS was added to the model predicting poor self-reported access to care, high stigma remained significantly associated with poor access (OR = 5.14, 95% CI = 2.39, 11.90 without MCS and OR = 4.42, 95% CI = 1.88, 10.37 with MCS). When the MCS was added to the model predicting suboptimal ART adherence, we found that association between high stigma and adherence was no longer statistically significant (OR = 3.15, 95% CI = 1.35, 7.36 without MCS and OR = 2.09; 95% CI = 0.81, 5.39 with MCS). The results in both models were similar when observations with missing data were excluded from the analysis. Mediation model to explore the role of mental health in mediating the associations between internalized HIV stigma and poor access to care and suboptimal art adherence*. In this diverse sample of PLHA in Los Angeles County, approximately one-third of participants reported experiencing high levels of internalized HIV stigma. We found that respondents experiencing high levels of stigma had over four times the odds of reporting poor access to care. Mental health attenuated the association between stigma and suboptimal ART adherence, suggesting that the relationship between stigma and ART adherence is mediated by mental health. Additional prospective longitudinal studies in larger samples are needed to better understand possible mediators of the associations between HIV stigma and access to care and ART adherence. This may in turn help to guide interventions to improve HIV care and health outcomes for PLHA. Our findings demonstrate that in a diverse and underserved sample of PLHA, poor self-reported access to medical care is strongly associated with experiencing HIV stigma. It did not appear that mental health or other predisposing, enabling, or clinical need factors explained this association. Poor self-reported access to care could also itself be a result of the perceived discrimination and social inequities that are central to the process of stigma. In this scenario, it is possible that an omitted variable that reflects perceived discrimination and social disadvantage may influence both experiences of stigma and self-reported access to care. Interestingly, we found that stigma was not strongly associated with having a regular source of HIV care in our sample after controlling for predisposing, enabling, and clinical need characteristics. One explanation for this may be that stigma has less of a role in an established patient-provider relationship compared with other factors such as patient-provider concordance by race or gender, satisfaction, communication, and trust.32,33 Alternatively, we may have failed to identify an association because the percentage of the sample reporting no regular source of HIV care was small (10.5%). Our data suggest that HIV stigma may be associated with suboptimal ART adherence, and this relationship may be partially mediated by lower mental health status. Specifically, lower MCS was associated with suboptimal adherence, and when MCS was included in the mediation model, the association with stigma was attenuated and no longer significant. 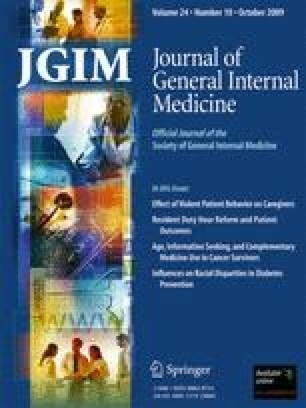 This is consistent with previously published studies that demonstrate that stigma and depression influence ART adherence.11,15 However, the interrelationship and pathways between stigma and other factors known to be associated with adherence such as social support,34 self-efficacy,35 and attitudes toward medication36 need to be further delineated in future studies in order to identify targets for effective intervention programs. In our study, PLHA diagnosed within the last 5 years reported higher levels of stigma than those living longer with the disease, suggesting that stigma may attenuate over time. Future longitudinal studies should examine how HIV stigma changes over time and with disease progression, as many PLHA may live decades with this chronic disease. This finding also suggest that addressing internalized stigma and its potential impact on HIV treatment may be particularly important to incorporate into programs targeting recently diagnosed PLHA. There were several limitations to this study. First, as our data were cross-sectional, causality between internalized HIV stigma and our outcomes cannot be established. Also, potentially important covariates such as social inequality, social support, and self-efficacy were not observed in our models. However, our study does provide valuable information about the strong association between stigma and self-reported access to care and adherence, and directs future work to further delineate these relationships. Second, our study sample may be biased (ascertainment bias) toward people who have already partially engaged in medical care or social services, and it may underestimate the association between poor access and internalized stigma for the most vulnerable group of PLHA who do not access care or HIV services at all. Finally, although we successfully recruited a sample of diverse PLHA, non-English speakers such as Latino/as and Asian Americans were underrepresented in our sample. Despite these limitations, our study provides important information about the association between internalized HIV stigma and self-reported access to medical care and ART adherence. Prospective studies that include more objective measures of access to care, such as utilization of subspecialty care, HIV care, preventive care, and emergency/hospital care, would help us to better understand the access needs of underserved PLHA over the course of their disease. Prospective studies could also help us to examine the directionality of the association between stigma and access to care, as well as to identify additional factors that may mediate or moderate this relationship. Finally, such studies could enable us to examine changes in stigma and its contribution to health care and health outcomes throughout the disease trajectory. This research was supported by grants from the American Foundation for AIDS Research (AmfAR) and the California HIV Research Program (CHRP) Network For AIDS Research in Los Angeles (NARLA). Dr. Sayles also was supported by NIMH grant K23MH083535. Dr. Cunningham was partially supported by NIH grants P20MD000182 from NCMHD and P30AG021684 from the National Institute on Aging. This work was presented at the 3rd International Conference on HIV Treatment Adherence on March 17, 2008 and the 31st Annual Conference of the Society of General Internal Medicine on April 10, 2008. The contributions of Sherman Ho and Natalie St. Cyr are gratefully acknowledged.